I was recently asked about the path I took to turn writing into a career. Talking about it makes me feel physically sick, so I decided to write about it instead. Flashback to my undergrad at Penn State. I had to take an GenEd English class and wound up with a professor who was a classic hipster. He was also incredibly creative, and his writing was truly inspiring. I started the semester with meh grades. Midway through, I got into a groove and started to grow thanks to his feedback, and began to really enjoy our assignments. By the end of the semester I was totally into it, loving having the opportunity to write. I’d always enjoyed writing, even as a child, but for the first time I realized it brought me real joy. I had never even remotely considered turning writing into a job. I told him I’d considered submitting articles to magazines like Cosmo in the past, but that I’d chickened out and never mailed (yes, actual real mail, I’m that old) any pitches, and that writing for a living was a pipe dream since I had to support my daughter and myself on one income. He rolled his eyes and explained that there were OTHER writing jobs outside of magazines and newspapers, like writing textbooks for schools, that paid well and had full benefits. I thanked him for the feedback and for having faith in my abilities, and then tried to dismiss the thought as soon as I left the room. But that thought festered in the back of my mind. I loved writing. What if I COULD get paid to write? Years went by, and I took on odd jobs to pay my bills, and told myself that someday when I retired I’d start writing. I started working for a tiny startup in my hometown, doing software training. I started writing some of our training materials, and had a blast. That professor’s voice was whispering in the back of my mind that I was getting paid to write. But the writing was part time, I told that little voice that this didn’t count, and again that I’d start really writing when I retired. Four years into my job as a trainer, my best friend in the entire world (who also happens to be my cousin, but is more like a sister) was in a terrible, terrible car accident. She was in a coma. She had died in transit while being life flighted, but they were able to revive her. Her arm had been severed but was able to be reattached. They didn’t know if she’d make it through the day. I got the call at work and fell to my knees sobbing hysterically. I had always thought that saying “I fell to my knees” was an overly dramatic way to write that you were deeply upset. That day I discovered that when you hit that level of fear and devastation, you literally lose control of your center of gravity. My coworkers didn’t know what to do, I was typically a smiley, happy go lucky person in the office. I was a completely disastrous mess. I pulled it together enough to pick myself up off the floor and went into a meeting room and locked the door and completely lost it. Our HR director eventually knocked on the door of the meeting room, peaked her head in and fearfully asked if I was ok. I told her I wasn’t ok at all, and that I needed to leave immediately. She asked if I was going to be ok to drive, and I told her I would. I gathered my stuff up, red faced and shuddering and got into my car. I started driving, and was shocked to suddenly find myself in the drive-through at Chick-fila. I don’t remember driving there, I had blacked out. I was trapped in the lane and had to keep moving forward to get out of the parking lot. A perky voice popped up through the speaker asking for my order. I mumbled something barely audible. She asked me to repeat it and I mumbled it again, feeling so guilty for buying food when the world was crashing down around me. When I got to the window to pay, the cashier looked at me, looked down and pulled out a stuffed cow. “You look like you could use a smile,” she said, and handed me the stuffed animal. That random act of kindness snapped me out of my brain melt stupor. I thanked her and got back on the road, brain reactivated. I still think of that day every time I visit a Chik-fil-a. I went home and packed up, got my mind straight and picked up my daughter from school. I told her we were going to visit our family, and that her Aunt was in the hospital so I’d be visiting her there. It was a 4 hour drive. The entire way, I kept wondering if I’d be too late, if she’d be gone. If she’d be awake. I dropped my daughter off with my mom, and headed to the ICU. What I walked into was far, far worse than I had imagined. My Aunt and Uncle were gripping their chairs in the waiting room, white knuckled, faces red from crying all day. My Aunt was battling cancer, and popped her chemo therapy drugs with some water, the only thing she could keep down at the time. We’ve talked about the experience since, and she doesn’t remember who came to visit and say hello and check in. She was just in a daze. The nurses told me I could go back to see my cousin. Their tone came across as an invite to say my goodbyes. Her brain swelling was so severe that they didn’t know if she’d make it through he next 48 hours. I used hand sanitizer at the nurses request (the smell still turns my stomach to this day) and walked into the room to find her hooked up to a ventilator, a trach sticking out the front of her neck, her arm covered in blood tinted gauze, draped in an ice blanket, since her body couldn’t regulate it’s own temperature. The silence in the room was horrifying—it was only interrupted by the hum of the oxygen machine forcing her lungs to inflate. I tried not to panic. The nurse told me that the best thing I could do was talk to her, but to try not to sound scared or cry. She said if I needed to lose it that I should do that in the waiting room where she couldn’t hear it. I asked if I could hold her hand, and the nurse said it was fine. I sat down and started talking to her like I would have if she could respond. I told her about the drive and the traffic, and that Kayla (my daughter) wanted me to tell her she said hi. I told her that it was great to see her, and that she could use a less intense way to get me to visit next time. I talked about the weather, I talked about how much we loved her, about her nieces sending her pictures and cards. About how I couldn’t wait to talk to her when she woke up. My Aunt came in (we took turns spending time in the room, one at a time) and I went to the bathroom and sobbed. I stayed that day, into the evening. My Aunt and Uncle remained in the waiting room that night getting hourly updates from the medical team. That night I got a hotel room for me and my daughter, and when I got up the next morning she went with my mom again, and I went back to the hospital. It had been touch and go through the night, but she kept fighting. I stayed through the day and evening again, and the nurses encouraged my Aunt and Uncle to get some sleep. They had found them a room in the hospital where they could get a few hours sleep. They’d been up for over 48 hours at that point. I didn’t tell them it was happening, but I went to my car and slept in the parking garage. Have you ever slept in a parking garage? This one in particular sent an ice cream truck through blaring Christmas music every 45 minutes, apparently to discourage people from sleeping in it. At first I thought I was hallucinating the music due to lack of sleep, but it was really actually happening. In retrospect it was an extremely dangerous, stupid thing to do, but I was so out of it at the time that it didn’t register. I ran out of days off, and had to go back home. A week went by, and she was still in the coma, fighting for her life. I told my boss that I needed to go home to support my Aunt and Uncle, and that if they needed to fire me as a result I completely understood. In response our CEO enacted a new policy that permitted coworkers to donate days off to other coworkers. My incredible co-workers came together and donated 3 full weeks of leave. I’ll never, ever forget their kindness. I headed back to the hospital immediately and my daughter went back to stay with Grandma. Going into the second week my Aunt asked if I could go to my cousin’s house to get her iPod and one of her blankets. The nurses mentioned that familiar music can be soothing for coma patients. She gave me the set of keys my cousin had given her in case of an emergency, like her locking herself out of her house. This was definitely not a use case that she’d considered. I got to her house, unlocked the door, and felt sick. Everything was as it always was. It was the house I’d spent Christmas holidays and the 4th of July visiting for years. It was the house we laughed in, cried in, watched movies in, celebrated in… and it was empty. I went into her bedroom, looking for her iPod. A book I’d lent her was on the nightstand. I ran to the bathroom and vomited. I cleaned up and ran out of the house, locking the door behind me. I got into the car gasping for breath and gripped the steering wheel hard. I knew that she might never see that house again, be in that house again, or even wake up again. I lost it. Again. A week later back at the hospital, it was nearly closing time—visiting hours were nearly over. The nurse let me in, and told me she’d let me stay late that night, but that when the next shift started, I’d have to leave. She said that talking to her was still the best way to help her find her way back. She’d been in a coma for 13 days. I held her hand and I talked about the vacations we went on as kids, reminded her of the time I felt into a ball pit and got tangled in a net and hung upside down. I talked about the time we went ice skating in an indoor ring and she fell, and we were sure she broke an elbow, the times we went go cart racing, to water parks, the time my Aunt chewed us out because we were boogie boarding and drifted down the beach and scared her to death. The time we went boating and got stuck on a sandbar for 3 hours until the coast guard came to rescue us. And then I told her that when she woke up, as soon as she was well enough I was going to take her to Ocean City MD, to vacation in the condo we used to stay in when we were kids. I told her we’d see dolphins from the balcony and lay out in the sun, and eat funnel cakes on the boardwalk. I promised her that it was happening. And she squeezed my hand. I yelled for the nurse and told her what had happened. The nurse smiled and said she believed me but that it was time for the shift change and I’d have to leave. I went to the hotel that night full of hope. The next morning I got to the hospital and found her with her eyes open, propped in a chair. She couldn’t speak, she was glassy eyed and not functioning but her eyes were open. The only day I’ve ever had that compares to that level of happiness was the day my daughter was born. They told us that due to her traumatic brain injury, she may not know who we were when she fully came out of the coma and she may never speak or walk again. But it didn’t matter to us. Her eyes were open. And she was alive. 2 months in an intense (amazing) rehab facility followed. My Aunt and Uncle stayed with her every minute of the way, supporting her and cheering her on. As I mentioned my Aunt was battling cancer at the time, and continued treatment throughout this time. She is one of the strongest people I’ve ever, ever known. I teared up and tried not to bawl my eyes out. Not only did she remember me, she remembered tiny details from our lives. She had come back to us. I went home elated. She had set a goal to come home from the rehab center by Christmas. She had to relearn how to sit up, stand, swallow, eat, speak, walk, and hold things in her hands. And SHE. DID. IT. She worked her tail off and made it happen. She fought every second, practiced every second, and didn’t let ANYTHING get in her way. Her doctors were absolutely stunned. Her recovery was a legitimate miracle, it shouldn’t have been possible due to the severity of the injuries she’d sustained. Why did I just go into extreme detail about an absolutely horrible experience in my life? After I returned home, a job opportunity opened up to help our development team write product copy during a product revamp. So I hopped in, and started writing for a living. That led to an opening for a Content Strategist and I jumped at the chance. Why? Because the experience with the accident made me realize that waiting for retirement to do something I’d wanted to do my whole life was ridiculous. Who knew if I’d ever even REACH retirement. No day is guaranteed. 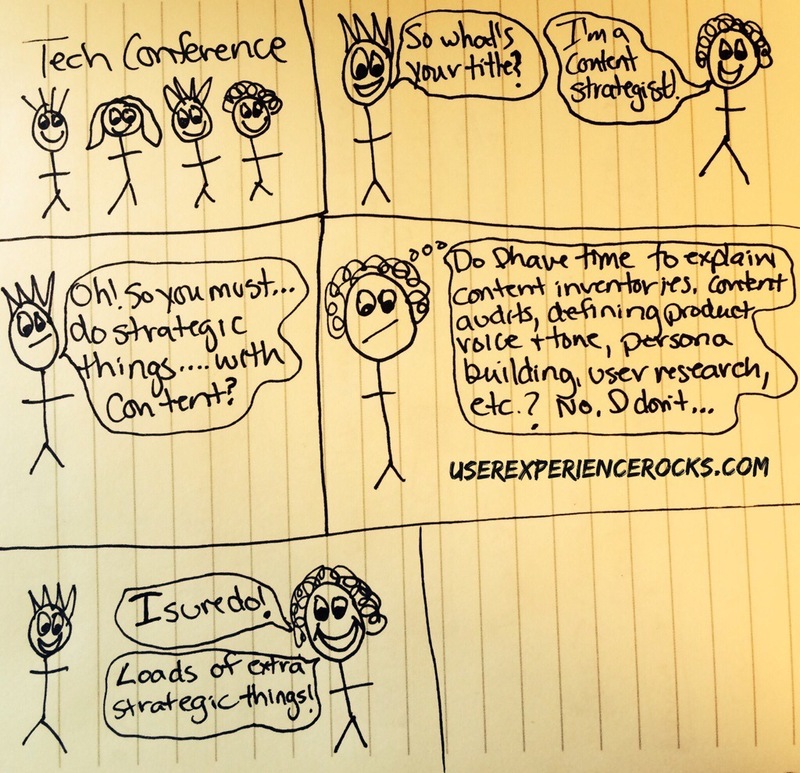 Working as a Content Strategist with our design team was what made me fall in love with UX. I started blogging too. More writing for a living. 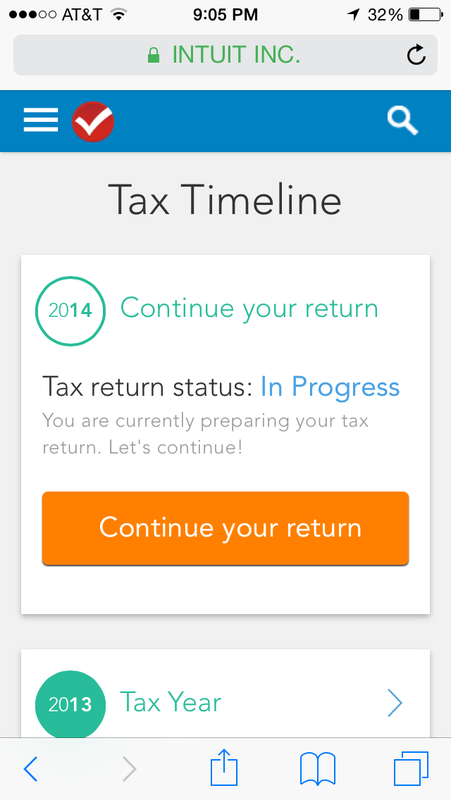 Eventually I transitioned to UI design thanks to our team of amazing designers that mentored me every step of the way. That led me to my job at InVision, the opportunity to be a full time UX & Content Strategist at a company I absolutely loved. And I kept blogging. I also started writing a novel. Fast forward to now. She is fully, 100% recovered. It’s a truly a miracle. Her doctors were baffled by the speed of her recovery due to the severity of her brain injury. She was always a fighter, someone who never gave up on her goals. But the entire medical team was stunned when she strolled back in to say hello, and thank them for saving her life. Before the accident she had always dreamed of owning her own business. She’s now a full time beautician and owns her own extremely successful shop called “Dream Big Salon”. She returned to us, as herself, and immediately started working to make her dreams a reality. She’s just as brilliant, funny, kind, brave and caring as she always was. She inspires me every single day. I’m currently in a role as Senior Manager of Design Community Partnerships at InVision that lets me combine all of the things I love most: Connecting with the design community I love so much every single day, writing about the things that inspire me, and learning from people I’ve idolized my entire career. I couldn’t have dreamed up a more perfect role if I tried. You need to live your life. Do the things you love, and the things you dream of… right now. Step 1: Give your brand a face. I mean this literally, I’m not being esoteric. Slap a face on your stuff. It can be the face of your blogger, it can be the face of your social media manager, it can be a banner that contains photos of your team, just make sure you add some kind of graphic containing a human to your social media & web branding. Excuse #1: That would be weird. Well… you can NOT give your brand a face… and continue looking like an obscure, cold, official organization. Just integrate a human somewhere. People will start connecting the photo of a happy person or people with your brand, and will subconsciously start feeling like your brand is friendly and safe. Human brains are weird. We want things to make sense. Cognitive dissonance stresses us out. If we see happy smiling people on a website or social media account we mentally push for the brand to line up with the graphics. Boring cold graphics = zero emotional attachment. Happy warm fuzzy people = your brand is friendly and we think about interactions with you in a way that is consistent with the warm fuzziness. Excuse #2: My organization is too professional to do that. Ok… so adding pictures of smiling employees or even stock photos of mildly happy strangers is too official for you? So basically you WANT to look stuffy and cold. That’s cool too, if you’re trying to reach an audience of stuffy cold people. Which.. some companies are. But seriously, even my BANK has pictures of happy smiling people on the log in page. Banks aren’t exactly places to throw parties. Loosen up and increase your marketing reach. Excuse #3: But my logo is epic. It probably is. Lame logos don’t usually last very long. If you want to use your logo, you should definitely do it. Use it all over the place. Use it as your profile pic in your corporate social media branding if you want. Just make sure you humanize your page as well. Banners are a great place to make that happen if you can’t mix your logo into a humanized profile pic. Step 2: Give your brand a clear voice. Voice is incredibly important when you’re dealing with branding. If you’re having trouble defining your voice, hire a content strategist. They’re pretty much voice defining rock stars. 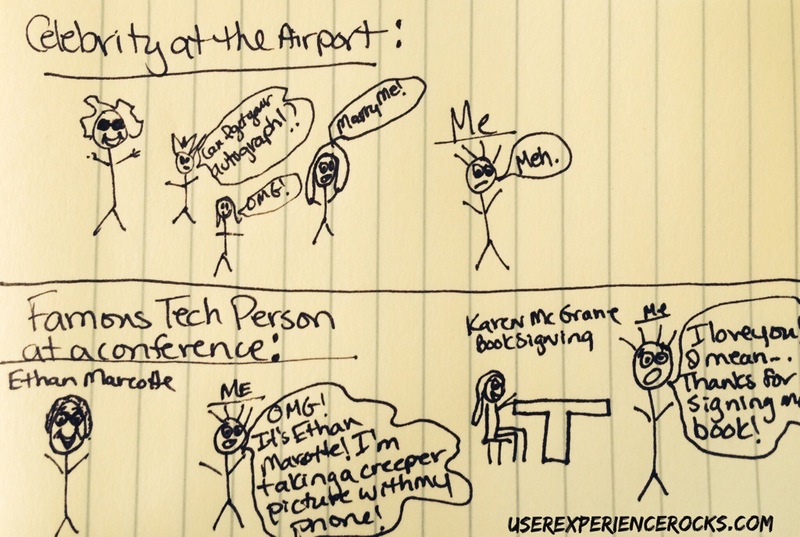 My blog has a laid back, tongue in cheek voice, because I’m the only writer (and can do whatever I want, including but not limited to drawing horrible stick figures), and therefore I write like I’m talking to folks in person. I like to keep my posts short and sweet, because I have a short attention span. Get to the point, and do it fast, or I’m thinking about where I’m going to vacation next summer in the middle of your sentence. I try not to go off on 47 page rants because I would NEVER be able to get through one of those articles myself. I keep my voice light and personable, because I inject my own personality in my posts. This voice would not work for every audience, however. If your brand is more formal, you’re going to need to make sure your writers adopt a more formal voice. But make sure your formal force isn’t a horrifyingly boring voice. If it is, only a specific subset of the population is going to read your posts/tweets/website content. If people who enjoy boring content are your only target audience, do it up. If you’re trying to reach a broader audience, humanize your voice, but remain professional. My company has a friendly, but professional voice. When I’m working on product copy, I definitely don’t use the same voice I use in my blog, because of our target audience. Step 3: Respond to all of the social media interactions that customers throw your way. The worst thing you can possibly do is have unmoderated Twitter/Facebook/Pinterest/Google+ accounts. If you set those accounts up, you need to be all over them, responding to comments and tweets and posts and following people back constantly. Some brands hire a person or a team to handle their social media interactions. If you “don’t have enough bandwidth to do that” deactivate your social media accounts immediately. They’re going to harm your brand, not help it. Don’t delete them though, you may need them in the future and you don’t want to lose your brand handles & vanity URLs. Ensure that the person managing your social media is completely comfortable with your brand voice. If your voice is inconsistent in social media, you’re going to end up in cognitive dissonance land again, and you’ll stress out your audience. Step 4: Tell your social media manager up front that if they EVER accidentally post a personal tweet through your branded account, that they’re fired. On the spot. Put that in their contract. There have been some absolutely horrifying accidental tweets and FB posts through branded accounts over the past few years that have caused enormous PR nightmares. This is the internet, you can’t delete something and make it magically disappear. Once it’s posted, it takes on a life of its own. Try as you might, you can’t make the general public un-see things. To sum things up, humanizing your brand can make a huge difference in the way your audience views, interacts with, and feels about your brand. You can humanize your brand, and remain professional simultaneously; it’s not an either/or situation. And humanizing can have a very positive effect in increasing your brand reach. Give it a try! You won’t be sorry. I have a handbag addiction. It’s a problem. Last night I tried to check out Chanel’s Fall & Winter line, and absolutely couldn’t believe the website. It’s a UX & Design nightmare. The navigation is wretched and believe it or not these images all rotate. It just about gave me a seizure looking at it. I added some pink arrows to show the nav, since it’s pretty much completely impossible to find otherwise. I get the concept… but it turned out looking like a discount warehouse website, not a site that makes me want to drop 4k on a handbag. Making your site nav disappear in maniacally rotating images = UX Fail. 1. Your data is fake. “What are you talking about! It’s not fake, there are graphs!” Your data is sampled. In some situations it’s still statistically significant. In fact, in most cases it is, so don’t panic yet. 2. Want access to your real unsampled data? Fork over $150,000. For major corporations it’s pocket change. For the average person with a small site, your sampled data is still statistically significant, so it’s no big deal. If you’re a start up company who is still poor but is experiencing rapid growth, you’re out of luck. Break out your wallet. 3. If your company is expecting/experiencing rapid growth & has set up a bunch of custom events, of the four leading analytics companies, Google Analytics Premium is by FAR the cheapest. If you hit 5 billion events per month, Google Analytics Premium bumps up to a flat rate of $220k. Adobe Analytics jumps up around $7.4 MILLION dollars per year. That is not a typo, it’s a legit quote. If you’re scaling crazy fast and need quality data, Google Analytics Premium is your friend from a financial perspective. 4. Unsampled, pure data is freaking expensive. It just is. If you really need it, surrounded by a UI that isn’t terrible, be prepared to shell out some serious cash. 5. I previously mentioned that sampled data is statistically significant for most companies, so who cares about whether data is sampled or not? CMS companies in particular need to care. Let’s say a company has global analytics tracking. They may have 4 huge clients (3 million events, 2.5, 2, and 1 million events per month) a handful of 100k – 250k events-per-month clients and so on into tiny client land. Google samples the daylights out of your data. The higher the number of monthly events, the worse your sampling rate becomes. From a global tracking perspective looking at high level metrics, sampling is no big deal. However, if a 100k events-per-month client calls and requests a report about mobile device traffic to their primary domain, you’re statistically SOL. You can pull the report, but the drill down data will be garbage due to the crazy sampling rate. The worst sampling rate I’ve come across in Google Analytics Free was .02%, but you get what you pay for. For small sites and small businesses Google Analytics Free is a viable option. 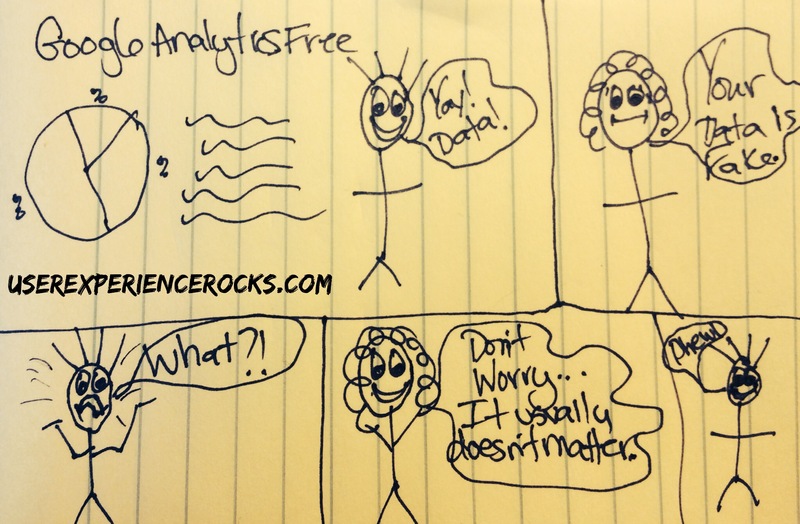 Your data is “fake”, but still statistically significant. If you’re a rapidly growing business with a pile of domains being tracked under one account, eat the cost and upgrade to Google Analytics Premium. From a scalability perspective it’s the cheapest option, and you can pull unsampled reports to obtain accurate data all day long if you want to. Hollywood celebs? Meh. Famous tech industry peeps? Insta-starstuck! Somebody please tell me I’m not the only one who turns into a tongue tied secret picture taking star struck weirdo when famous tech industry folks are near. Lol. Karen was really cool about it, and just grinned and said, “Thanks!” while she signed the book. This year I attended ConvergeSE in Columbia. During one of the sessions I looked up and realized Ethan Marcotte was SITTING RIGHT IN FRONT OF ME! Please, please tell me there are others who suffer from this awkward affliction? Seriously though, Hollywood celebs? Meh. Famous tech industry peeps? Insta-starstruck.